Overview: The Tamil people are an ethnic group native to Tamil Nadu, India and the northeastern region of Sri Lanka. Historical evidence of the Tamil dates to as early as 1500 BC. Tamil is a major Dravidian language of India, spoken primarily by the Tamil in India and Sri Lanka. The Tamil people cluster encompasses numerous occupational castes that share the Tamil language. 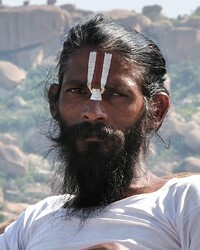 Most Tamil are Hindus, but a few Tamil subgroups follow either Christianity or Islam.